With Accelerate Cambridge, we hope to bolster our network within the MedTech community and receive valuable mentorship to hone our business strategy. This will allow us to raise funds towards our goal of conducting validation trials. 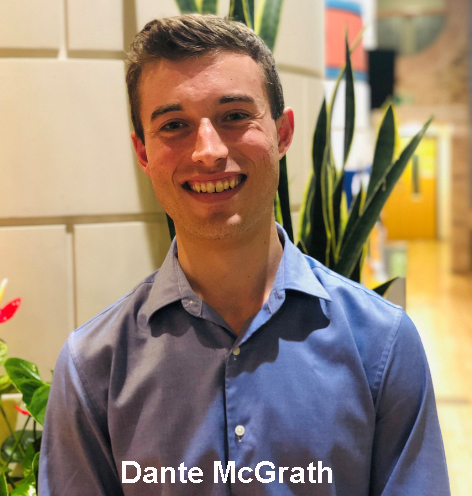 Engineering PhD student Dante McGrath is co-founder of the start-up which has designed software to create personalised 3D models for surgeons to correct congenital heart defects in newborn babies. The company was awarded first prize of £10,000 by the competition judges. The MedTech Venture Competition is designed to enable researchers, scientists, technologists and founders to translate novel medical technologies or early stage ideas into real-world applications through specialist advice, mentoring support and funding. Dr Nidhin Laji, the founder of Congenita, who was one of the researchers who invented the technology, is a Clinical Entrepreneur Fellow and Foundation Doctor at the Cambridge University Hospitals NHS Foundation Trust. Nidhin met his founding team, including Dante McGrath, at the Cambridge Judge Entrepreneurship Centre’s Enterprise TECH PhD+ programme in 2018. He submitted a proposal and worked with five PhD students from the University of Cambridge on a feasibility study to assess the market validity and commercial application of the technology. In October 2018, Congenita won The Trinity Bradfield Prize. The company has since been accepted to the Entrepreneurship Centre’s Accelerate Cambridge programme, starting in April 2019. Dante said: “We are grateful to the Cambridge Judge Entrepreneurship Centre for providing the platform for us to grow our start-up. With Accelerate Cambridge, we hope to bolster our network within the MedTech community and receive valuable mentorship to hone our business strategy. This will allow us to raise funds towards our goal of conducting validation trials." A list of all the winners is available to view here. This article has been edited from the Cambridge Judge Business School website.